Last week I spent 2 hours waiting for my Windows 10 computer to complete an update after I got into my office. I don't know about you, but I hate waiting on my computer to start up, much less waiting two hours for an update to complete. For me, time is the most precious commodity in the universe, and wasting time on unnecessary updates just makes me mad. Now don't get me wrong, I want to install all bug fixes and security updates, but not at the expense of my most valuable and productive morning time. Many might tell you to schedule your updates for later, but the fact is that if you're your computer is not running Windows 10 Pro, you don't always have a choice of whether the update is downloaded and installed. 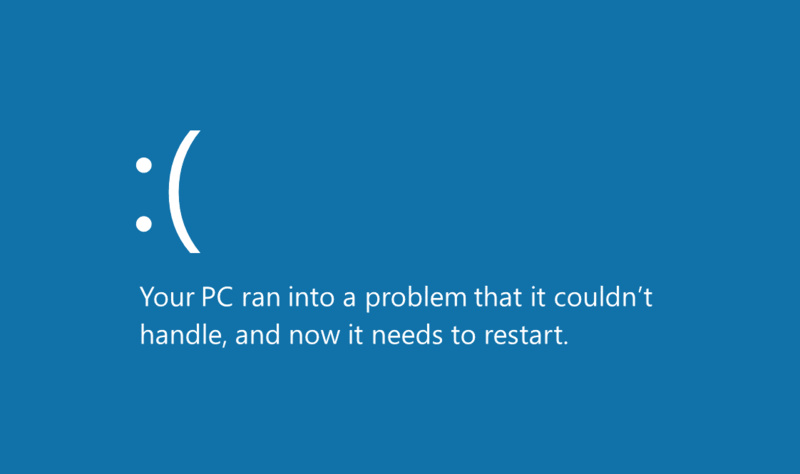 To make matters worse, some updates break your system forcing you to wait through the rollback process. God forbid that a critical failure takes place and you have to reinstall your entire system (OS and apps)! 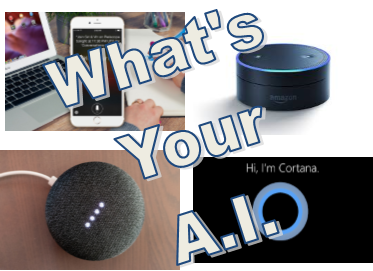 In this episode of Working the Web to Win, we will address the current problems that Windows 10 updates are causing for its user base. We will include links to many articles that discuss the problems occurring along with in-depth workarounds to help fix Windows 10 update issues. So read on and get some relief from the constant drudgery (some would say hell) of Windows 10 updates. Have you ever wondered why some companies marketing is phenomenally successful for long stretches of time while others seem to burst onto the marketing scene and then quickly fade away? Many marketing companies rely on tricks and manipulative techniques while hoping a big flash splash will do the trick. Another school of thought emphasizes research-based marketing with a principled approach where ads focus on value, testimonials, wholesomeness, honesty, and persistence. In this episode of Working the Web to Win, we will compare and contrast the two schools of marketing and provide 10 principles we believe produce long term positive results. 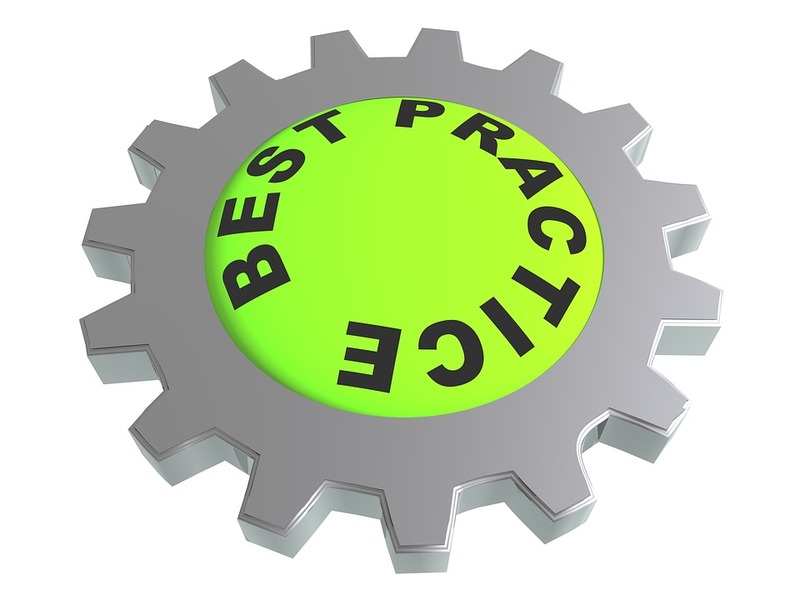 What are Best Practices? If you ask any professional marketer, they will tell you that sticking to best practices (i.e. Marketing principles) is important. Yet many rely on the latest tricks and shortcuts used to gain position in Organic Search or exaggerated claims in their ads, saying they are just embellishing the perceived value of their product or services. Many advertisers will imply unrealistic, exaggerated or outright lies about the features and benefits of their products. This is particularly true with children's products like toys, and food. The diet industry is replete with exaggerated product claims. On the other hand, marketers who stress the importance of principled marketing generally follow a more scientific method using tried and true practices. This doesn't mean that unethical marketers don't have their own bag of tricks, because they do. They just don't care what the long-term implications of their current ad campaign are. Their only focus is to produce immediate sales and profits. The real problem for any company that tries to take shortcuts is that sooner or later, tricks and unethical techniques lead to expectations not being met and a bad reputation as an end result. In other words, taking shortcuts will eventually poison the reputation of the product or service being advertised. Now I am not implying that most marketers are unethical. In fact, I believe the opposite. However, sales reps need to make sales quotas and agencies need to make traffic happen or risk losing clients. This often leads to individuals and agencies taking short cuts and exaggerated claims. In a three of our previous articles called; "Marketing 101 – What you need to Know before Buying Advertising", " 10 Things Your Online Marketing Manager Doesn’t Want You to Know" and "Avoid Being Cheated by Online Advertising Companies", we discussed how to avoid being cheated by various tricks, traps, and other unethical behaviors by unscrupulous marketers. On the other side of the coin, we have several dozen articles that discuss how to use principles and a scientific approach to ethical marketing. Each article we write and publish provides a different perspective on principled marketing. Some of them focus on methods, elements and techniques. Other explain our process for various types of marketing modalities including social media, blogging, video, and search marketing (aka SEO). 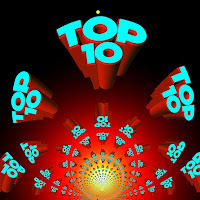 The following list of articles is a small sample of the dozens of articles on our blog that focus primarily on marketing and internet advertising. Each brings a different perspective, problem and solution to light so our readers acquire a broad understanding of how to maximize the marketing efforts. Is Humor Marketing’s Secret Weapon? Not long ago we had a prospect come to us because his primary competitor was showing up above their organic listing when you typed in his company name. Our analysis showed the competitor was engaging in black hat tricks by producing false 5-star reviews (500 of them) which were the primary reason they were ranked higher than our prospect. We developed a plan that would take about six months that was guaranteed to get our client to the top of Organic Search. After three months, we were making progress because the client now had an additional listing on page one, but was still listed below the one competitor who was engaging in black hat tricks. At this point, our client decided that they wanted us to engage in black hat tricks to get them to jump to the top right away. We told them that while this could get him to the top, eventually his website would get de-listed. The client said that they needed to get to the top immediately, at which point we disengaged their agreement and wished them good luck since we refuse to engage in black hat tactics. Soon, both of these businesses fell off page one. Providing True Value - A product or service can be hyped into stardom for a little while, but this will wear off quickly. Long-term success is based on providing real benefits. Its based on real reciprocity where payment is exchanged for a real or perceived benefit. Benefits can not only include tangible items but also intrinsic value as well. To have true value, a product or service must produce a positive result or reason for a customer to be thankful they bought your product or service. Sometimes the only thing missing to push your product or service into the true value arena is a compelling offer. Focus - Success is greatly increased if you target the right audience. Having focused landing pages, ads, blogs, videos and social posts don't distract prospects and can provide easy stepping stones that lead them in the positive direction toward a purchase. Providing ads, web pages and highly diverse or eclectic web properties generally have lower success rates. 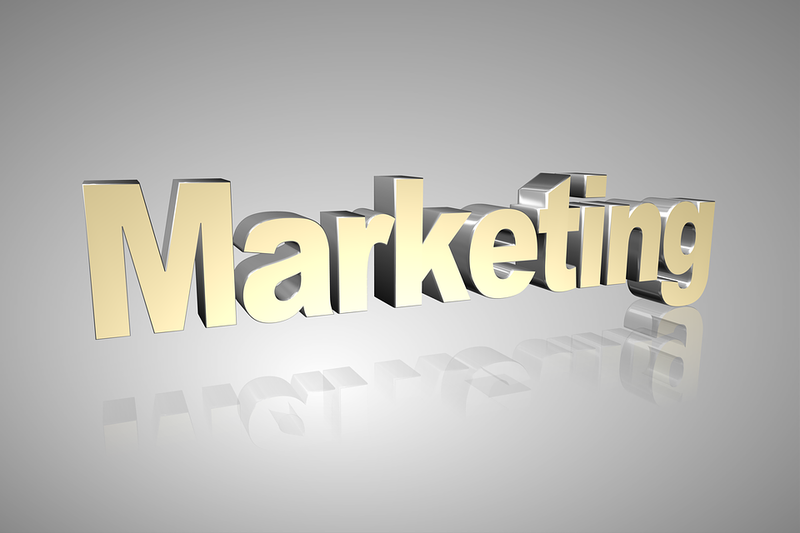 Leverage - Engaging in marketing should include the creation of advertising elements that can be used multiple times. Better still, savvy marketers leverage elements that can be deployed in multiple venues simultaneously. For example, a blog post is used as the script for a live internet radio show that is also video-cast on any of the social networks at the same time. These marketing assets can then be recycled by posting them to on your web properties and the social nets. 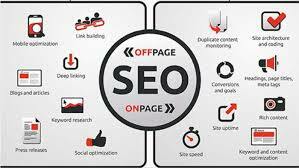 This content can also be repurposed for the creation of ezine articles, ebooklets and even printed books. Consistency - Building credibility and an audience requires that you consistently provide high quality, useful, relevant and timely content. Inconsistency on the other hand will kill credibility and lose an audience even if you provide high quality, useful, relevant and timely content. Persistence - There is an old saying that goes something like; "Quitters never win and winners never quit". It is rare to get your marketing formula right the first time you try it. What's required is the staying power that includes constant monitoring of results and using the results to tweak the process. Being patient and measuring the results allows you to improve. Being impetuous and constantly changing direction provides inadequate data which leads to failure. Relevance - Anytime a message is not targeted it risks being perceived as inappropriate or worse a lie. If your marketing message is relevant, it compels the person who perceives your message as relevant to explore it further. A non relevant message is dismissed immediately. This is why TV stations who run ads are suffering because viewers today can skip commercial altogether. Timeliness - The importance of advertising at the right time of year, day of the week and hour of the day can not be underestimated. Running Christmas ads too early or out of season is a waste of money and can even turn off prospects who perceive the ads as inappropriate. Likewise if you run ads outside of office hours, callers who respond will get frustrated and call your competitor who is available. Even running your ad on the wrong day of the week or time of day can greatly diminish its effectiveness and reach. Renewal - Advertising comes with a specific lifespan. 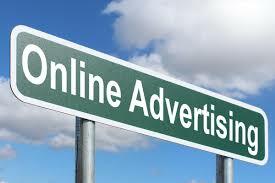 Your ads pulling power will diminish over time until one day it no longer works. It is important to take into account that ad fatigue effects all types of advertising and that you must be willing create different advertisements to keep your audience interested. 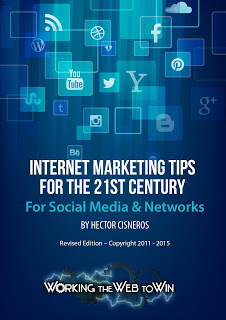 This includes changing ads, updating web pages, providing weekly blogs, videos and daily social posts. Setting goals - Running a marketing campaign without planning and research is a formula for failure. By include planning and research, you can better focus your message, better target your audience and produce more compelling offers and ads than if you try and do this by flying by the seat of your pants. Being Accountable - It is irresponsible for a business to think that marketing does not have to be accountable. 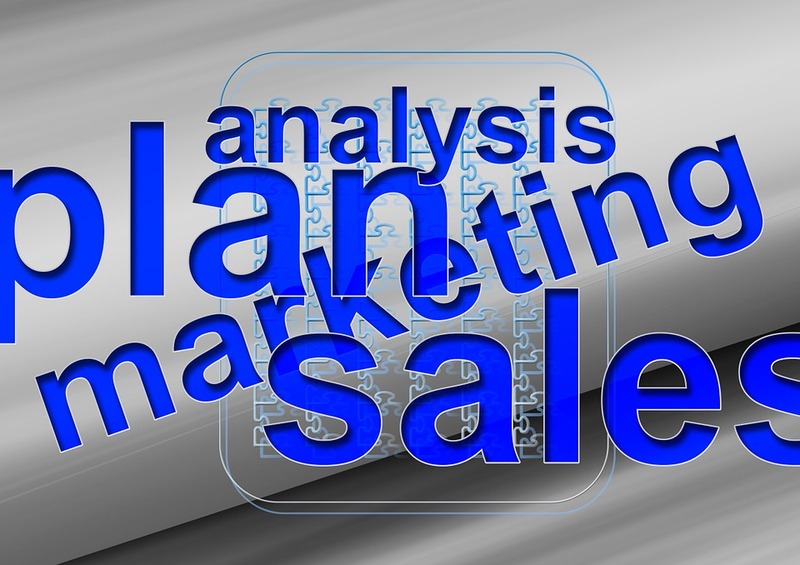 Some businesses run ads because they have a budget to spend but they don't include the cost of research, testing, measuring and producing an analysis of the results. In essence, they are always throwing away a portion of their marketing budget every time they advertise. Being accountable is the other side of the goal-setting coin. Goals that are not followed up with analysis are just wishes. 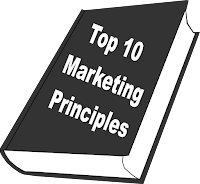 Any business that wants to get the maximum return on their marketing investment needs to take into account all ten of the principles above. Most other articles cover the other seven big marketing principles; (i.e. Product Price, Promotion, Place, Packaging, Positioning and People). I agree that all of these are very important. However, they are all incorporated in our top ten principles listed above. Failure to address these principles is common in business today. It is one of the reasons so much advertising fails to produce profitable results. If a business wants to succeed, it must take the time to plan, research, codify, focus and implement their marketing plans. They must then test and measure their creation to verify that its, #1 working, or #2, needs tweaking and or #3 needs to be abandoned altogether. This process is the most effective way to guarantee results. 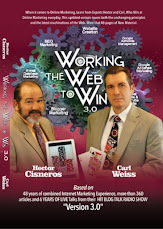 It is also one of the primary reasons Working the Web to Win can guarantee results. If your company isn't getting the results it desires and you would like a second opinion on what you can to to make things better, give us a call and we will provide you with a free no-obligation web analysis of your current marketing position and also list several solutions to fix any deficiencies we find. I hope after reading this your business decides to incorporate the list of principles. If you do, you will thank us for it. 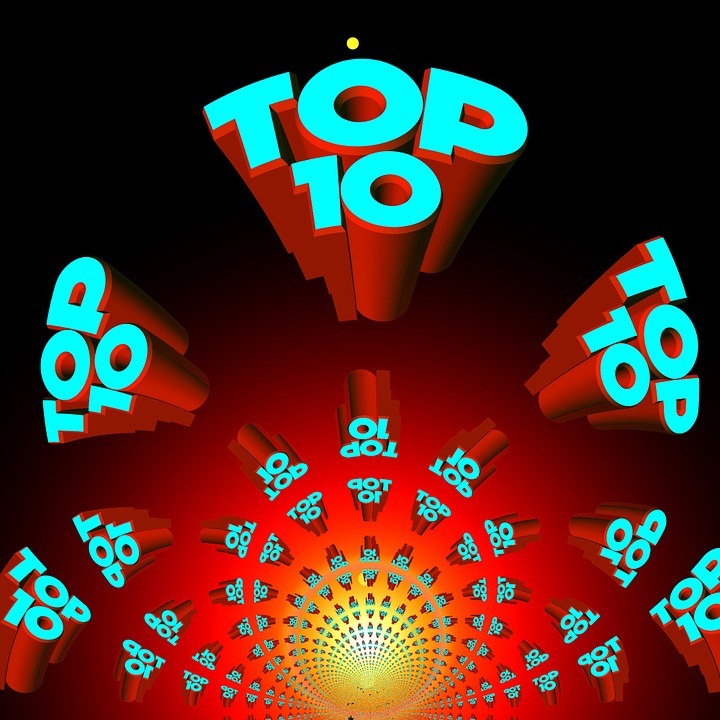 This article provides ten ways to enhance your internet marketing by adhering to our top 10 marketing principles. Lastly, it links more than a dozen related articles to help the read better understand this subject. Also included is a link to the BlogTalkRadio show that goes with this and other related subject. If you found this article useful, please share it with friends, family, and co-workers. I recommend checking out the links on the blog, along with checking out other related articles on our Show Notes Page. Also, don’t forget to listen to the BlogTalkRadio show on this subject. If you have a related useful comment or opinion about this article, leave it in the comment section of this blog. Also, don’t forget to share us on Facebook, Twitter, and LinkedIn as well. There is no doubt that Google is the biggest advertising player on the World Wide Web today. You can advertise on Google Ads (formally AdWords), Google's Banner Network, and YouTube just to name a few of its advertising properties. But is Google advertising all you need? Is ad placement the best way to generate bonafide leads and are those calls you get saying your Google listing needs to be updated real or just some ad agency fishing for business. In this episode of Working the Web to Win, we will explore the ins and outs of advertising with Google, show you what mistakes to watch out for and provide you with several ways to maximize your return on your marketing investment. A businesses reputation is more important today than ever before. the same is true for products or an individual. If your reputation is weak or little is known about you, your business or product, people assume you are not as good as a business with a well-known name or as someone who who has garnered a couple of dozen 4 or 5-star Google reviews or Facebook ratings. 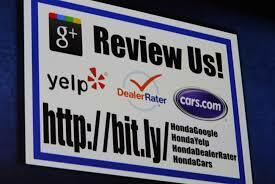 So, what do you do if you are doing a great job but you few if any five star ratings? Just how can you go about building your good reputation without trying to use black hat internet trickery (which can hurt your reputation). In this episode of Working the Web to Win, we will discuss more than a dozen ways to improve your reputation so you can compete with anyone on the web. Unlike all you Millennials out there, I still remember a world that did not revolve around the smartphone and the Internet. Way back in the dark days before the turn of the century, publishing hadn’t changed all that much in the past 150 years since the Gutenberg Bible was first published. Back in the 20th Century, publishing relied on the printed word. That meant cutting down trees, hiring printers and staging book tours to promote your latest novel or self-help book. In short, it required a lot of effort to achieve a minimal result. Unless your book was picked up by a major publishing house, the odds of getting it into bookstores (which were all brick and mortar) was slim to none. Even worse, the expense of printing and promoting any book back then was staggering. Reprinted From Life Happens 365 - Are Autonomous Trucks the End of the Road for Truckers? We have written about drones and autonomous vehicles on several occasions. When we came across this article from one of our clients, we knew we had to reprint it. We felt it tied right in with our previous published articles and that our reader would really enjoy this subject matter since it will affect us all sooner than we think. We urge you to read Diane Tait's article - "Autonomous Trucks the End of the Road for Truckers?" Autonomous vehicles are all the rage these days. You can’t turn on the TV or fire up an online newsfeed without hearing or reading about an auto manufacturer that is putting billions into developing self-driving car technology. Even Tesla is now spending big bucks to develop automated big rigs. With this in mind, the commercial trucking industry is in for a rethink on a massive scale in the not too distant future. The question is, how will this new technology affect the livelihoods of the 3.5 million professional truck drivers in this country.